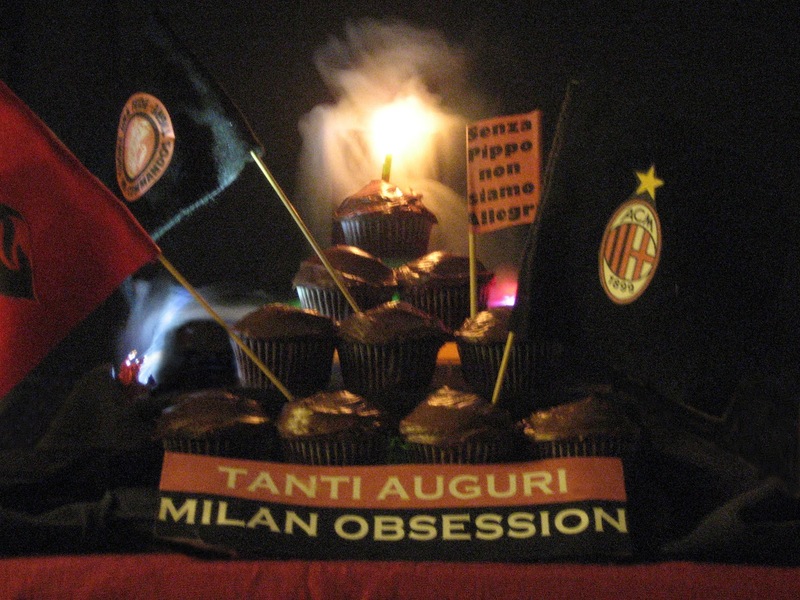 One year ago today, Milan Obsession was launched “for those who bleed in red and black.” 193 posts and over 128,000 views later, it is still a place for fans to share their obsession with Milan. Whether you are a new fan, a casual fan, or amongst those whose families are planning interventions, you are invited to celebrate our special day! Writing and sharing about Milan was an idea that had been kicked around here for a long time, likely my husband’s way to get me to stop talking so much about Milan to him. But it wasn’t until I had a partner in crime in my fellow obsessed Milan fan and friend, Jovan, that I was brave enough to actually take action. Together, we built the blog, wrote previews and reviews for every match as well as player profiles and anything else that seemed relevant. When Jovan, who was definitely the genius blogger of the two of us, left the blog to pursue more lucrative ventures in September, I wanted to make sure that our consistency of posting every 48 hours and putting up match reviews within a couple of hours of each game didn’t end. Over time, I’ve tried to keep fans informed by adding things like the upcoming matches features and keeping news updates, official lineups for games, and links to matches, etc. in the comments section. But for all of our work, the best feature of this blog has got to be those who come here and contribute in the comment section. So many fantastic opinions, people helping us to keep up to date with the news, and maybe having a little fun, too. The original goal was to have a place where people could come to share, but without all of you people it would be nothing. If I was stressed or busy or struggling to keep up, all of you were my inspiration to keep going. Thank you to each and every one of you, your comments drive this community! Hey guys, this is Jovan, wishing Elaine and all of you a happy birthday. I take pride in what we created - a place for Milan fans to enjoy well-written articles a couple of times per week, as well as the quickest Milan game reviews in the blogosphere. To the best of my knowledge. Well, certainly the quickest good, detailed reviews at least. But equally important is the liberty to share your opinions and take part in discussions without censorship or oppression - as a blogger, Elaine is the opposite of the usual self-righteous, unskilled football writer. While we both took part in building the blog from scratch, it is Elaine's dedication and talent that have turned it into what it is today. I wish you a lot more success, and I hope you get to write a few scudetto posts in the following years. I would also like to thank a couple of special contributors who have written guest posts over the past year: Michael, aka mlisi39; and Avais, aka Avia. In addition to adding their thoughts and opinions in the comments section, they have written fun and informative posts for this blog to share with the Milan community. Thanks, guys! But enough about the past, I am so excited for the future! I plan to keep this blog going well past some of the careers of our current squad! So please grab a virtual cupcake (I made them just for you) and tell me how you like the blog! If you’ve got any requests or ideas to improve things around here, please share. I can’t make any promises, but I will do my best. 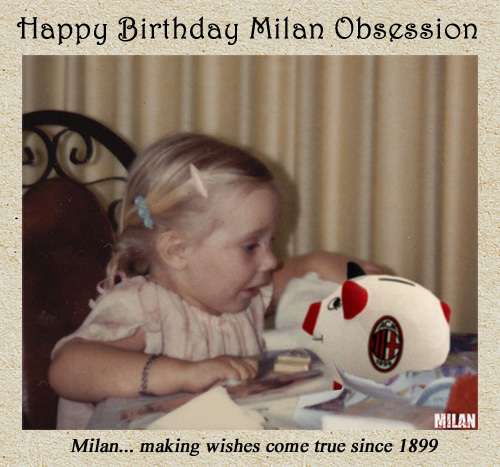 And then please bookmark the blog and remember to keep coming by often, you are the heart and soul of this little corner of Milan heaven. birthday curva sud cupcakes Elaine guest posts Jovan lurkers we love you too obsession may be an understatement people who comment rock this blog has lasted a whole year?